Well, hello! I was going through the photos on my phone the other day and found a few that no one has ever seen, so I thought I'd share them. I've recently learned that my beloved iPhone which I bought in Japan is pretty much a glorified iPod now. Because of the provider I bought it though over there, it sounds like it's impossible to unlock it and use it here. Basically it serves as my point and shoot camera, and if I'm around wifi it's great...otherwise...not so much. Anyways, that explains why the majority of these photos are still on my phone and never made it to Instagram. Okay, I'll stop rambling now and get on with the photos (in no particular order). 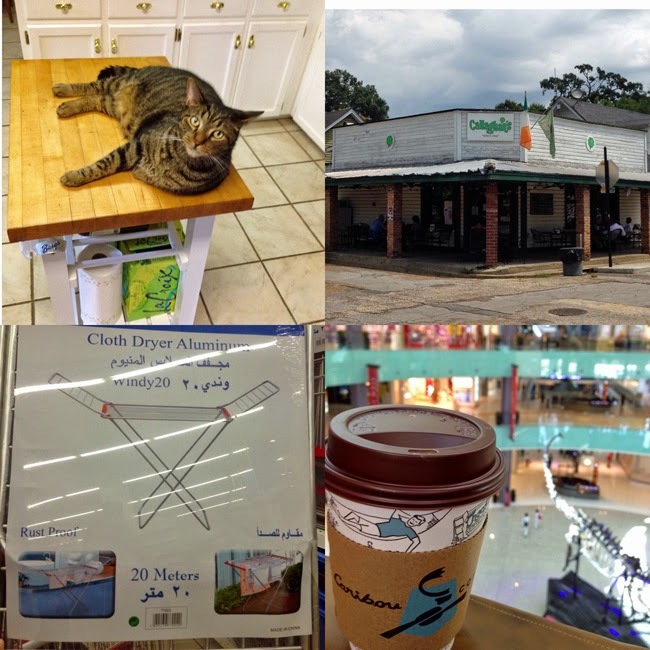 Clockwise, from top left: A sign at a filling station in Mississippi...gotta love the south! 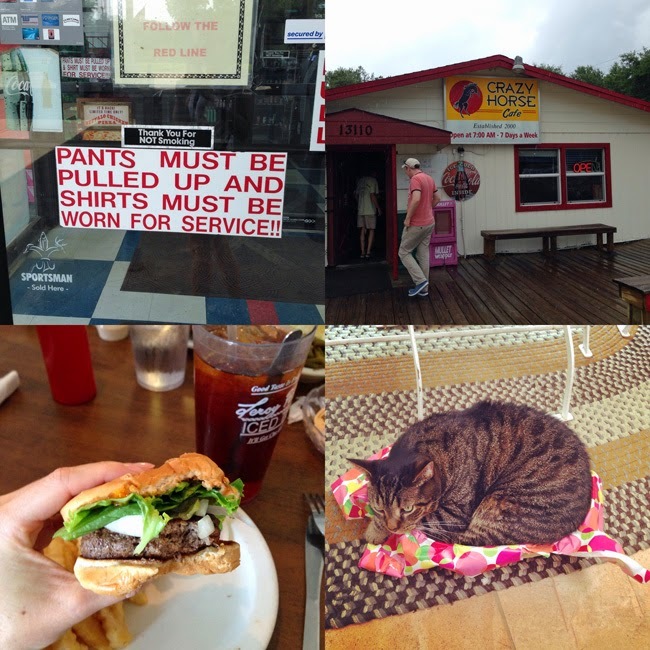 || Lunch at yet another roadside dive, the Crazy Horse Cafe || Big cat, little basket || The Crazy Horse serves up a good burger! 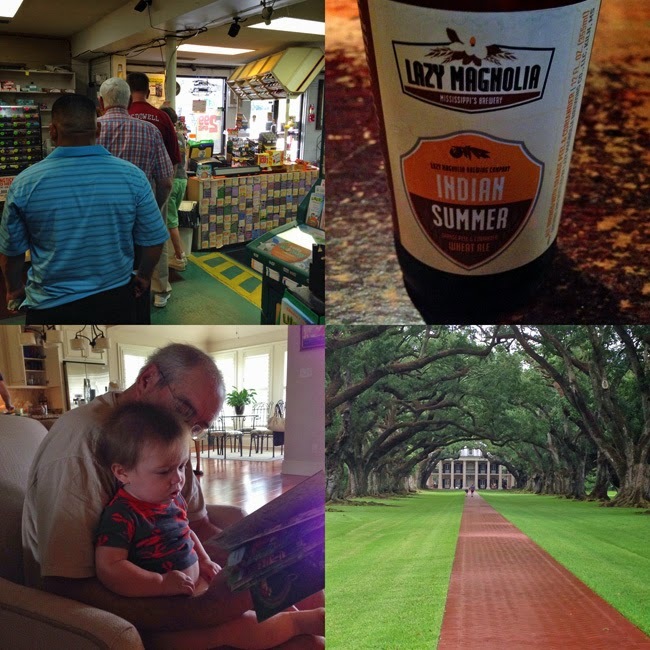 Clockwise, from top left: The line to buy Florida lottery tickets (we didn't win) || Lazy Magnolia's Indian Summer beer at a bar in Natchez, MS || Oak Alley Plantation || Dad reading to his grandson, William.